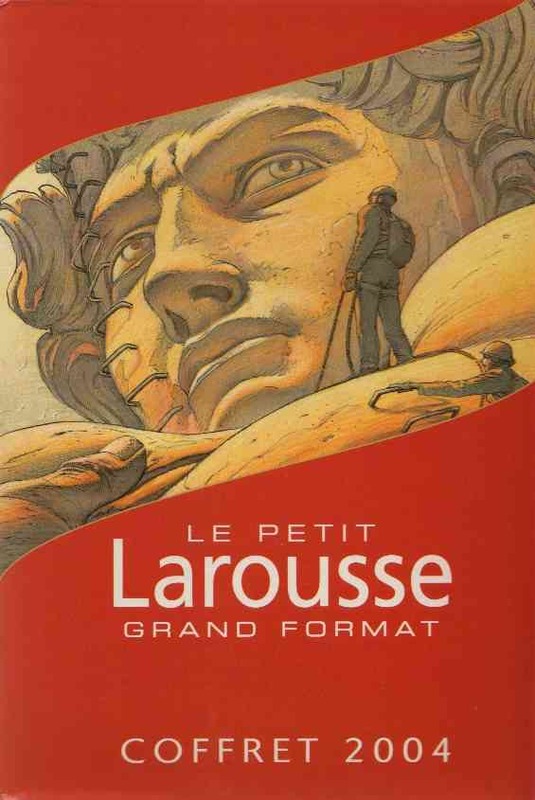 Le Petit Larousse Illustré, commonly known simply as Le Petit Larousse, is a French-language encyclopedic dictionary published by Éditions Larousse. It first appeared in 1905 and was edited by Claude Augé, following Augé's Dictionnaire complet illustré (1889). The one-volume work has two main sections: a dictionary featuring common words and an encyclopedia of proper nouns. Le Petit Larousse 2007 (published in 2006) includes 150,000 definitions and 5,000 illustrations 1). In every edition new words are added. For the 2004 edition Larousse asked comic artists to draw an image for certain new words. François Schuiten was requested to make an image for the word “via ferrata”. 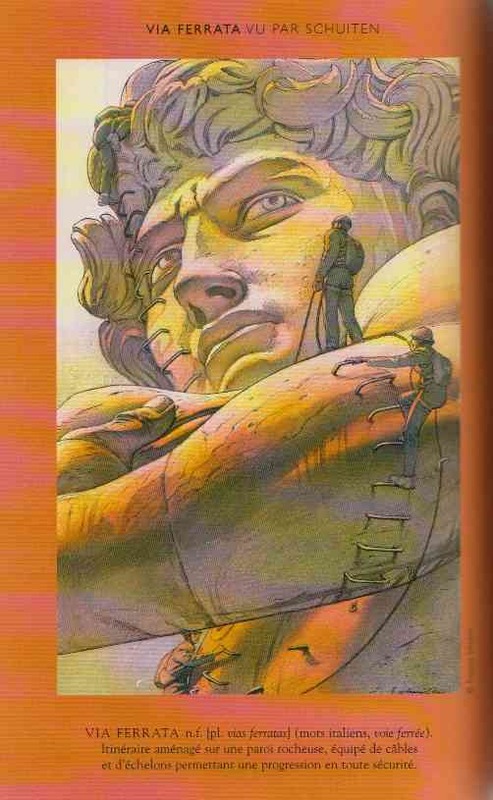 The image of François Schuiten was also used on the case of the encyclopedia. 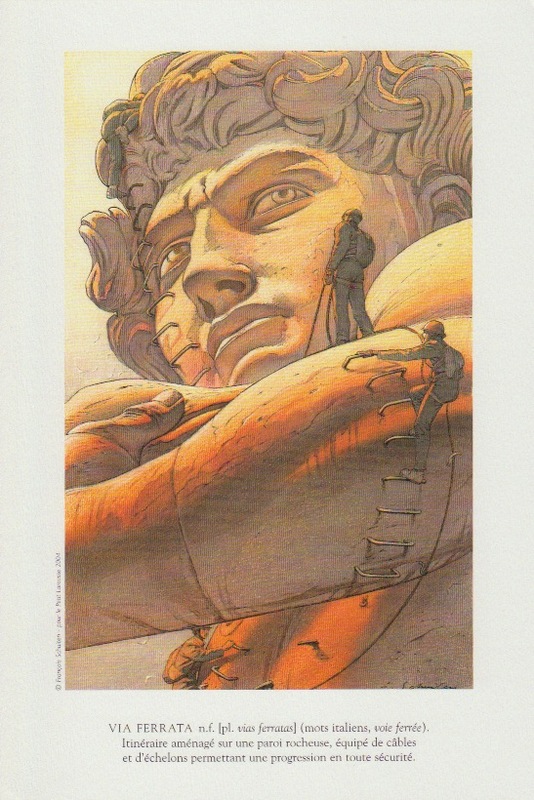 An ex-libris of Moebius, Sempé and Schuiten was added. Schuiten (François), Bruxelles 1956, dessinateur et scénariste belge de bandes dessinées. Avec la précision du graveur, il élabore des univers mi-réalistes mi-utopiques (cycle les Terres creuses, en collab. avec son frère Luc, à partir de 1978; séries les Cités Obscures, en collab. avec Benoît Peeters. à partir de 1982). Benoît Peeters is also mentioned in the Petit Larousse since the 2017 edition 2).